Welcome to the office of regular people like us. Inspired by the gambling halls and casinos of the 1920s and Hollywood’s Golden Age. 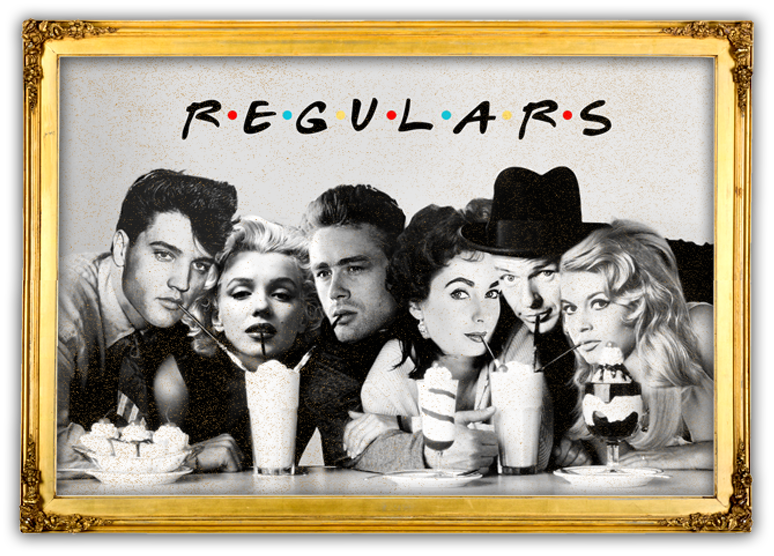 Regulars is the kind of neighborhood bar you’re already familiar with, just a little better than you’re used to. Join us Saturday April 20th from 12pm-3pm for our brunch buffet and stay for the party, 3pm-7pm. Whether it’s a dinner for 40 or a party for 200, we’ll make sure people talk about it. Our ultra chic lounge/meeting space is equipped with a full luxury bar, corporate amenities and versatile food program to meet your specific needs. Inquire about events and private dining or make reservations.